BIO: Mary is a retired computer professor who loves being creative in the classroom and outside of the classroom. She has taught numerous paint pouring classes to people from 4 to 65 years of age. A metal artist and quilter for over 40 years, Mary has won community awards for her artistic work with fabric and use of color. This is part one of a 3 part class. MATERIALS: SCRaP in Billings will provide all materials and supplies, including acrylic paints and Flood Floetrol. 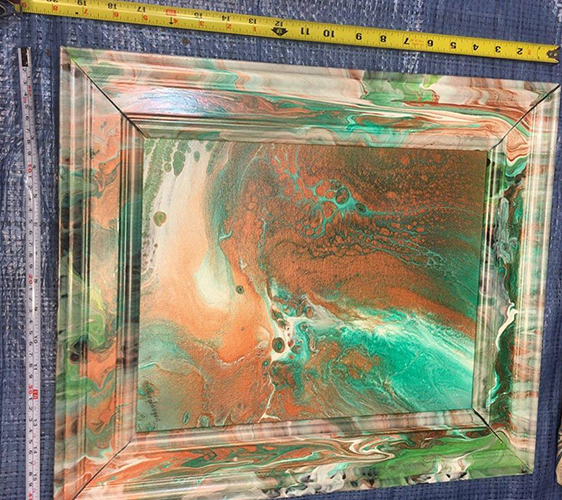 PICK-UP: Participants will need to keep their painting at SCRaP in Billings for at least a day for drying. Class is held in the Creative Annex 1702 1st Ave N.
Copyright © 2019 Where the Community Comes to Create.